Family owned and established in 2005 by Joe Lacerda to serve the local musicians of Manchester NH. Our first space was located in an old Mill building in Manchester NH that bands would rent practice spaces, and it has grown to an 11,000 square foot full service music store serving all of New England and beyond. The Manchester Music Mill stocks Guitars, Basses, Amplifiers Pro Audio, Keyboards, Full service tech shop for guitars and amps, and hosts roughly 300 students for weekly lessons. Our shop is very organic to the local musician and families. We want everyone to feel welcomed and explore all the great new and used gear that comes into the shop everyday. In this age of technology we pride ourself for being a destination for so many people who visit the northeast. There are always hidden gems in the store that are bought before anyone sees them online! Our outlook is that our customers always come first. With so many options for players to shop these days, we do our best to offer personal and knowledgeable service. We treat every customer fairly and do our best to maintain the highest level of customer service that we can offer. Our shop is welcoming with tons of cool gear, and there is always a no pressure vibe from our staff. 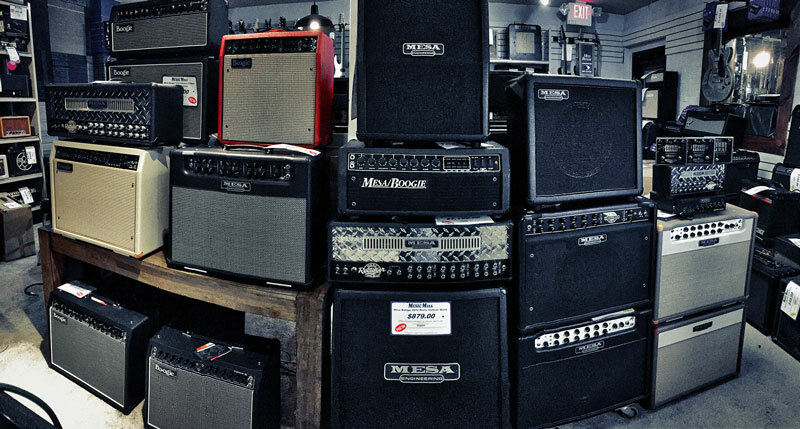 Thanks for checking out our featured MESA/Boogie® dealer! To visit the shop online or via social, find their detailed contact info here.